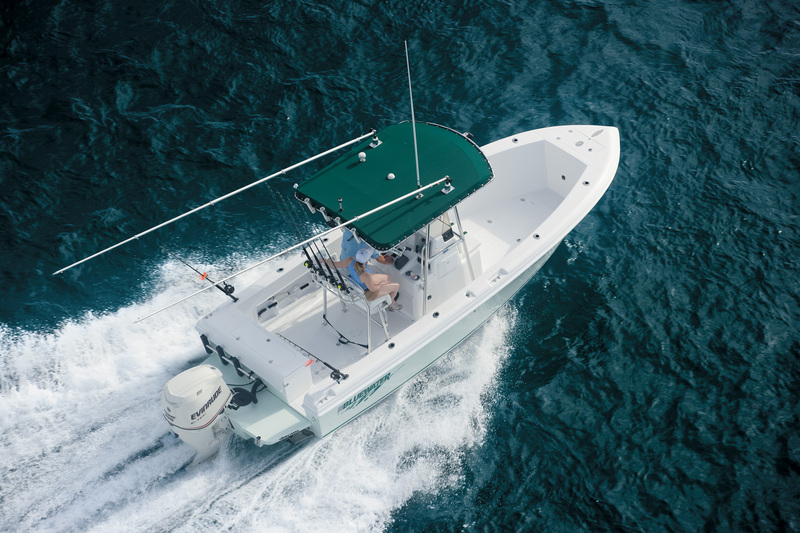 For serious offshore sportsmen, the Bluewater 2150 stands alone. It’s not just that she has the prettiest lines in her class; you simply cannot find all this in another 21′ center console boat: 35-gallon live well with cutting board, two fish boxes with 600 quarts total capacity, a 102-gallon fuel tank and a large, fishing-friendly cockpit. The walk-through transom, side-door access to the console storage compartment, lockable electronics box and switched dual-battery system are other standard features not commonly found in boats of comparable size. If all that sounds like the specs for a larger center console design, wait until you step into the roomiest cockpit in the 21′ class, get offshore in bumpy seas and experience the flat, dry ride. The only time you won’t swear your 2150 is a bigger boat is when she’s behind you on the trailer. Bluewater also offers more options for customizing the 2150 than you’ll have with other boats of her size. 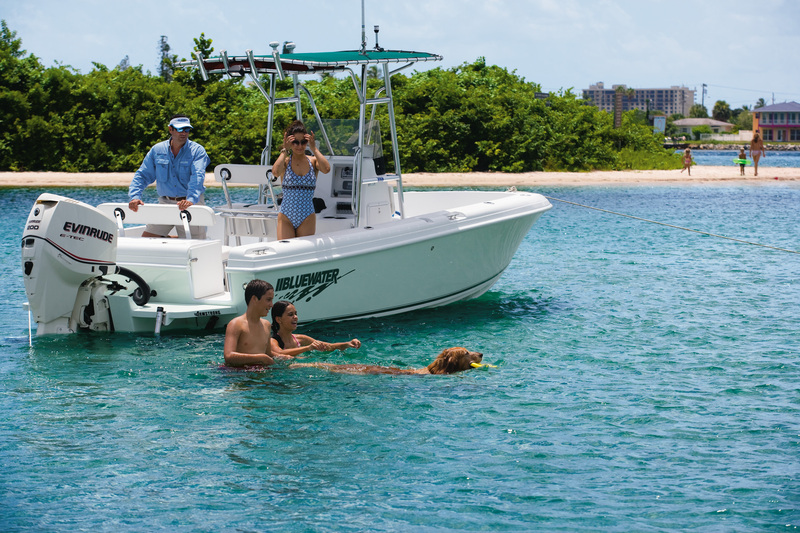 So fish or dive all day or take the family out for a cruise, picnic or even water skiing—whatever your pleasure, the 2150 will fill the bill with exceptional performance, comfort and economical operation. To view the Bluewater 2150 gallery click here.